This best-selling guide, now revised and updated, covers dog-friendly trails, activities, and accommodations throughout Colorado. Both residents and visitors will appreciate the detailed information on dog-oriented excursions, leash laws and trail etiquette, doggie daycare services, vet info, and specialty pet boutiques. 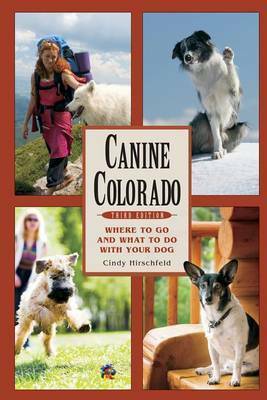 Cindy Hirschfeld is a freelance writer and editor, specializing in outdoor activities and travel, for publications including Skiing magazine, Backcountry magazine, and The Denver Post. She and her golden retriever, Clover, live in Aspen, Colorado, where they hike, run, bike, ski, and climb together. 3rd Third Edition, Third ed.